repair if needed. Rise Against Hunger recognizes that there is food enough for every person on the planet, but 815 million people, many of them children, go hungry because food is unequally distributed. The volunteers at Rise Against Hunger work on assembly lines to produce nourishing food packages; often the volunteers are Rotarians. Rotary is most known, however, for its steps to end polio now, which is discussed by Al Bonney of Traverse City Rotary. Mr. Bonney emphasizes the problems of post-polio syndrome as well as updating the fight to eradicate polio. 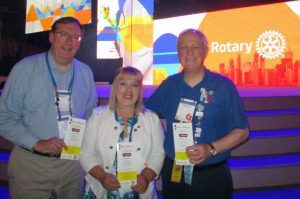 Each year RadioRotary takes its microphone to the Rotary International Convention, which in 2018 is in Toronto, Ontario. Some 24,000 Rotarians are in attendance and RadioRotary gets as many of the great stories as it can. 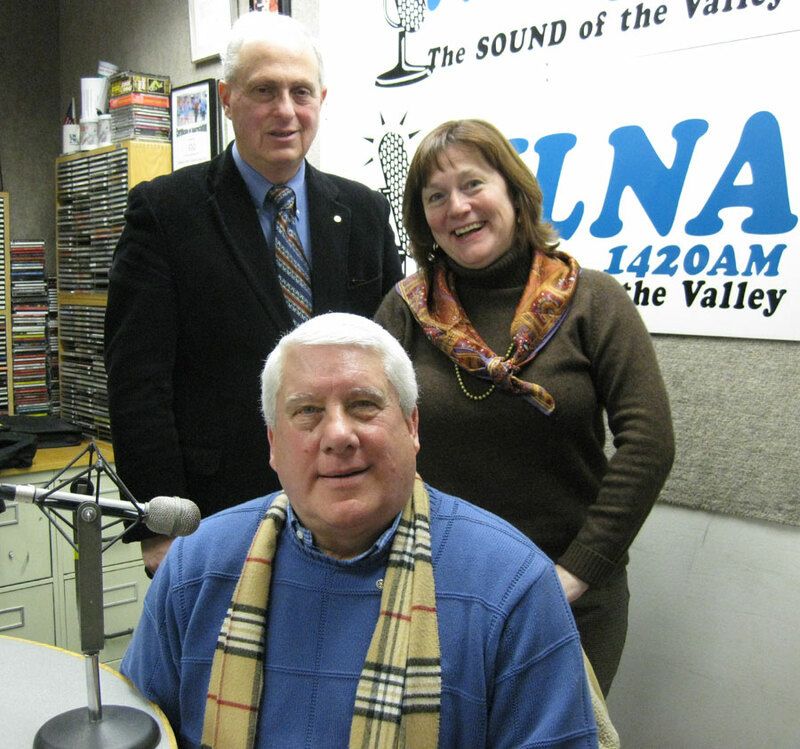 One of the interviews in this show is with Ellen Haggerty, a Pleasant Valley Rotarian whose mission to improve hearing and make life easier for those who are hearing impaired takes her all over the world. Her organization, Rotarians for Hearing, is one of the many Rotary Action Groups, or RAGs, that deal with specific issues. Another interview concerts a different RAG, this one uniting Rotarians around the world to help prevent opioid addiction as well as other forms of addiction. 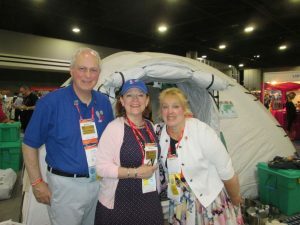 Disaster Aid USA is not a RAG, but instead is a club-based Rotary project that started with a Bethesda, MD, Rotary Club, but now has chapters in clubs all over the US and sister organizations in Europe and Southeast Asia. 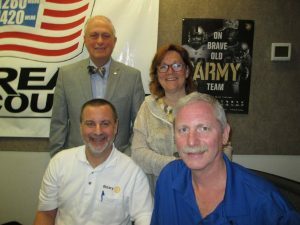 One of the highlights of the RadioRotary interviews at the International Convention is the interview with the new president of Rotary International; fir 2018-19, it is Barry Rassin from the Rotary Club of East Nassau in the Bahamas. how to use it, and monitor it twice a month thereafter. The Liberty Club is best known for providing and coordinating disaster relief after hurricanes Katrina on the Gulf Coast, Harvey in Houston, and Maria in Puerto Rico, although they also are involved in many local community projects. effective cure, so the main emphasis of the RAG called “Hepatitis Zero” is in testing, which only requires a pin-prick blood sample. The other RAG is for knowledge, awareness, prevention, and treatment of diabetes. Diabetes Type II, caused largely by lifestyle, is a growing major health problem worldwide. Another interview on this program tells about skin banks, now mainly in India but needed elsewhere. The skin is the largest organ in the body; donation of the skin from a recently passed cadaver can be a vital assistance for the recovery of burn victims.